Two percent. 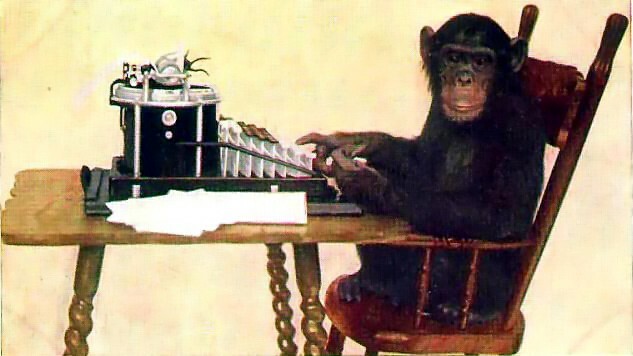 Just 2% of code separates us from our Chimpanzee brethren. Yet that small difference has lead to humanity’s migration, the rise and fall of civilizations, and the creation of vast works of art. Much like our genetic code online reading and traditional reading share many similarities. The differences, however, create a layer of complexity that mirror the vast chasm found in the cognitive abilities of chimpanzees and humans. Yes those students who have the prerequisite social practices to succeed in traditional academic reading tasks do outperform peers in online reading environments. Yet these shared cognitive skills and social practices do not explain all the differences in performance when we measure online reading comprehension. New and more complex skills and practices are required to read in online environments. This 2% (an analogy not actual data) represents the set of skills and practice that allow some learners to take online texts and reshape the meaning for future learning. Human consciousness involves the ability to create a model of the world and then simulate the model of the world in order to obtain a goal. For Kaku intelligence should be a mark of how divergent thinking allows some to create more complex models and more frequent simulations of the future. I see many parallels with definitions of online reading comprehension. When reading online more successful students do not simply assimilate information as traditional definitions comprehension would have us believe. Skilled online readers “manipulate and mold information to achieve a higher goal” (Kaku, 2014, chapter 7, 24:26). Based on my dissertation research and classroom observations I see three critical shifts: strategic text assembly, socially complex texts, and multimodal design. For the brief amount of time that book reigned in human history the reader did not have to build her own texts. An editor, publisher or author had the power of creating and shaping the texts we read. No more. Skilled online readers engage in strategic text assembly which I define as the ability to read for meaning while flexibly applying both navigation strategies and comprehension monitoring strategies. In my research navigational skills was a key difference between successful online readers and those who could not accomplish an inquiry task. The students who could manage multiple tabs, navigate search engines, and move between multiple sources did better. These are the easily quantifiable and teachable differences as we shift to reading online. Comprehension monitoring, or checking your own levels of understanding has always been recognized as an important skill for meaning making. Here online reading and traditional comprehension share much of the same DNA. Students who succeed in online environments skimmed more websites and spent more time engaged with sources when they judged them to be relevant. I also noticed an intersection of background knowledge and working memory.A lack of background knolwedge did not phase skilled readers. This I documented in my work as very few students knew much about the domain of my inquiry tasks (American Revolution). I also noticed but did not have the data to fully support the thesis in my dissertation, that these skilled readers seemed to have a more robust working memory. They seemed to hold more information in their working memories that they could later mold into new meanings. They could quickly use the information they read and check it against their understanding of texts they visit in three or four clicks. I believe the participatory nature of online texts requires a fundamental shift in how we define texts. Socially complex texts, concurrent arguments that unfold in print and social media with varying degrees of authority and amplification, now dominate our online reading environments. Basically socially complex texts are authored by opposing forces discussing an issue with equal passion and often mutual disdain. This requires a new set of reading skills to detect clickbaiting, astro turfing, and real grass root efforts. Accomplishing these goals requires readers to put a much larger emphasis on not only sourcing skills but also analytics. In my work, and in the research of those much smarter, we have established adolescent and adult readers do not attend to sources. I found very little evidence of readers evaluating websites. I asked students to identify authors, evaluate an author’s expertise, evaluate a publisher, evaluate bias, and evaluate sources within a source. Few students could identify an author let alone evaluate other markers of credibility. We must teach students greater sourcing skills. We need them to engage in multiple source readings. More importantly we cannot decontextualize sourcing skills. A checklist approach, or a third step in some inquiry cycle will not work. Credibility judgements interweave through out the meaning making process and change based on the reading of tasks. I have argued that analytics is the most important literacy skill that no one is teaching. At least not in the field of literacy. Definitely not at the K-12 level. Analytics involves so much more than click counting. By examining how an idea travels, the frequency of times readers and authors mention an idea, and tracing it back to its source all require analytics. These skills are even more critical when we begin to think about writing in multimodal spaces. As part of our Teaching Internet Comprehension to Adolescents grant I worked with a seventh grade urban classroom in the Northeast. We discussed how design affects meaning making. We looked at three websites about Mumia Abu-Jamal, a Philadelphia man who contests his death row conviction of killing a police officer. The first text used an informational text structure and tried to inform the audience. The second two, one from Abu-Jamal supporters and one published by the police union took argumentative stances. We discussed and examined how the font and color choices impacted meaning and tone. I can teach students to write argumentative essays in online environments but I could never account for the impact of design using pencil and paper. Small differences in code matters. I have not done a full analysis but if I examined the wizard behind most webpages I am sure the majority of text is copy. The HTML and CSS probably account for a smaller percentage. 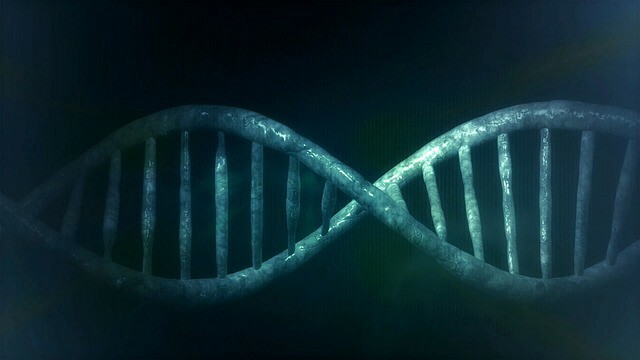 Yet just as our intelligence and consciousness is contained in just 2% of our DNA code, this small amount of code has changed reading and writing forever. Collection of articles and a space for writers interested in documenting how technology enhances our pedagogical goals.